You are currently browsing the archive for the Grow Vanilla category. 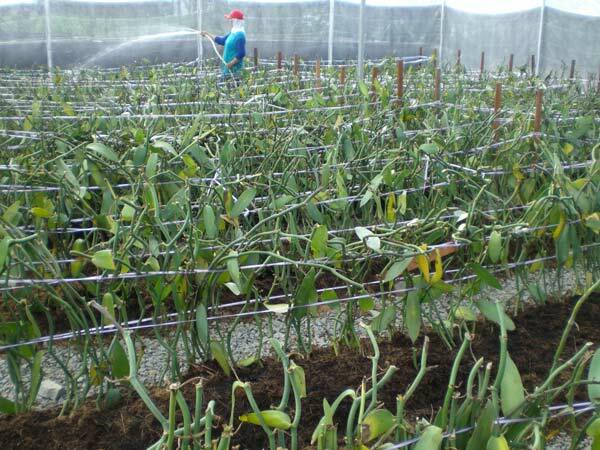 Tanny Lee sells vanilla vine cuttings in Malaysia. 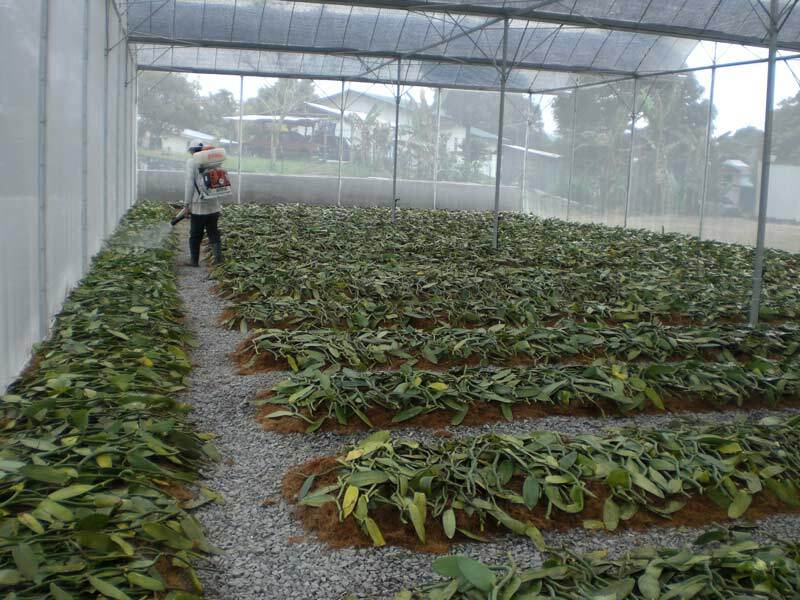 We get lots of questions about buying vanilla plants in Malaysia, here is a possible source. We have started our vanilla nursery and we will be a vanilla nursery provider. We are representing Orchids Asia. 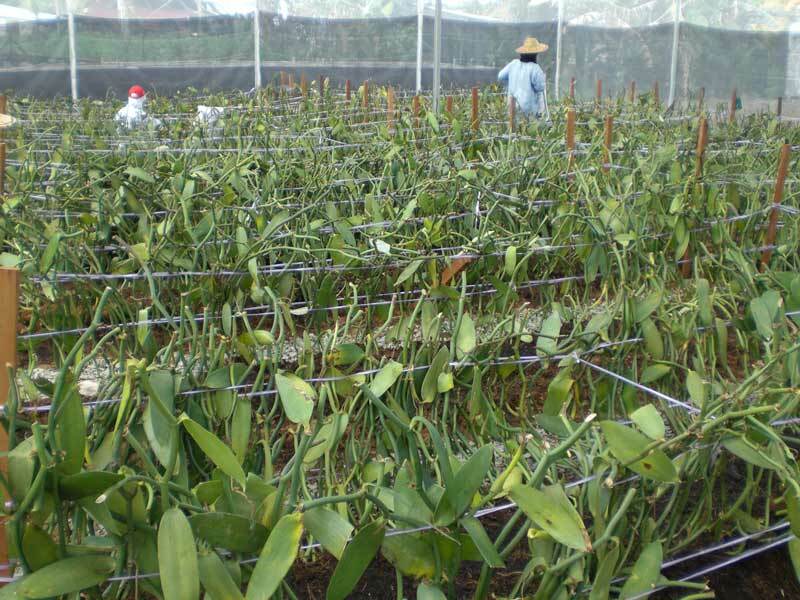 Beside nursery we are setting up a vanilla sample plot for public to view in Kuching. 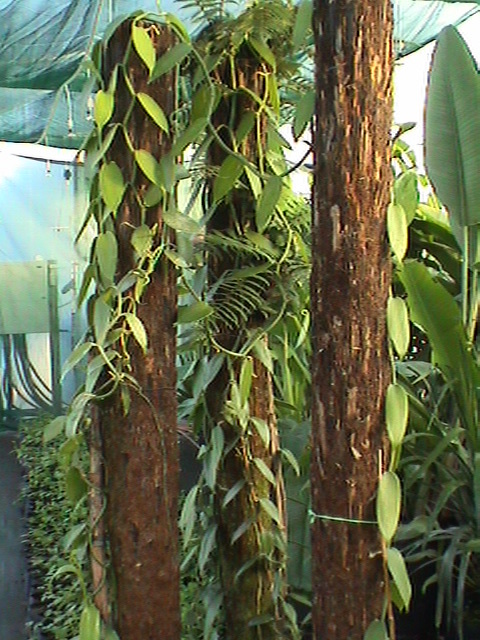 Attached pictures show vanilla and myself, 1 meter vanilla cuttings inside our quarantine shade, watering of the cuttings, putting the 1 meter cuttings upright. What are the ideal indoor conditions for growing vanilla? Boggo is probably Garth Boggis at Heilala Vanilla in New Zealand. Henerico Daud Buberwa (Mr. Daudi) is a Tanzanian vanilla farmer, pictured here on the left. I originally bought some of Mr. Mugabuso’s (right) Tanzanian vanilla beans from Kim, a former Peace Corps worker. Mr. Daudi sent me a post letter describing his vanilla growing and curing techniques, and compared them to those presented in Piero Bianchessi’s fantastic vanilla plantation handbook, Vanilla, Agriculture & Curing Techniques. All growing program from preparation of shamba [ed:vineyard] to pollinating of flowers are the same as we do, though there are slight differences in approach; e.g. in case of poles (supporting poles) here we use jatrophas only, mulching we use dry grass, dry banana leaves and banana stems; also here vanillas are grown in the same shamba with bananas, cassava yams, beans coffee etc. The pictures in the book show that in other countries vanillas are grown in the forest. From the book curing techniques seems to be long and complicated circle. At home, after harvesting ripe vanilla we take heap of 40-50 vanilla beans and wrap them in black clean cloth, then after, the heap is exposed to the sunshine for 5-6 hours everyday for two weeks consecutively, after this period the heap is opened and vanilla beans are left at clean cool place for a week to dry slowly. Already you have nice vanilla for home use or parking. 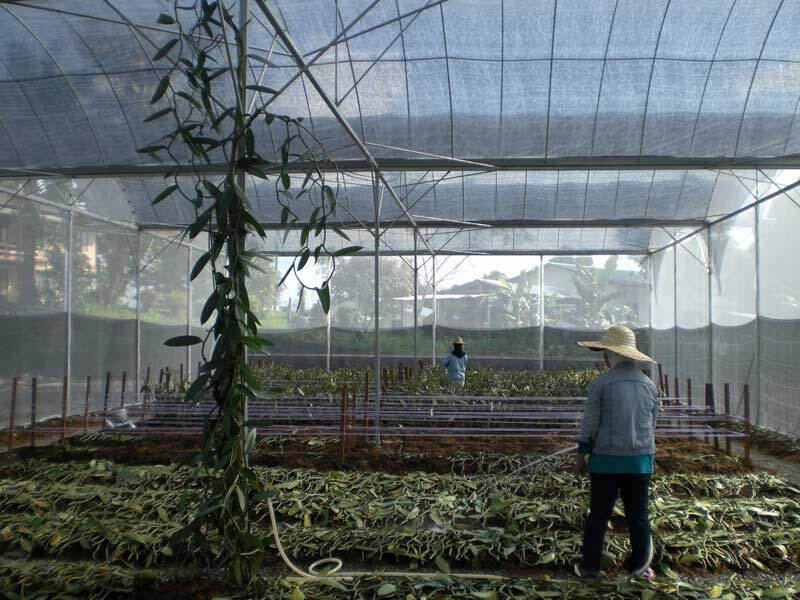 The organization which buy vanilla here at home, it interests on raw vanilla for gaining more profits. 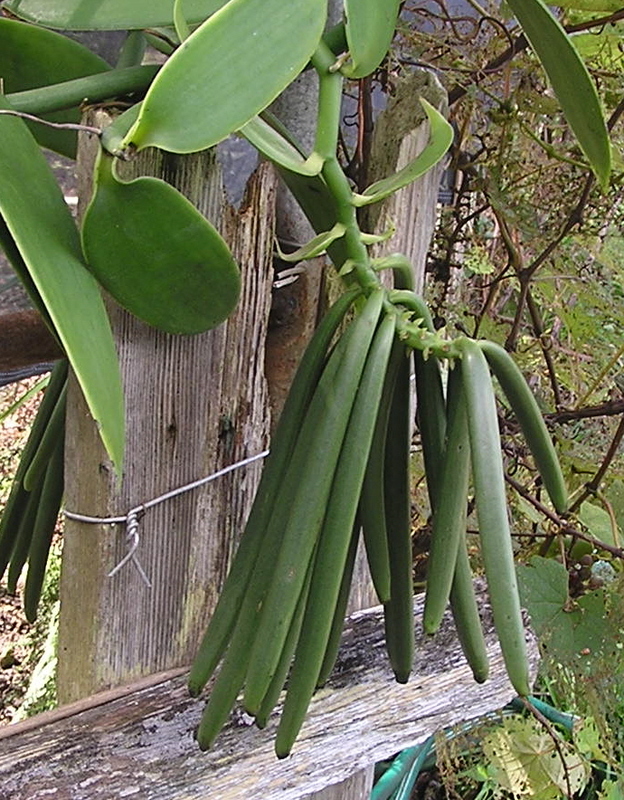 Refer to Mugyabuso’s vanilla, it was dried in the same system as the mentioned one above. Testing of vanillin content it is still a problem at home level. I will try to take photos from my shamba and give you more details about vanilla later. 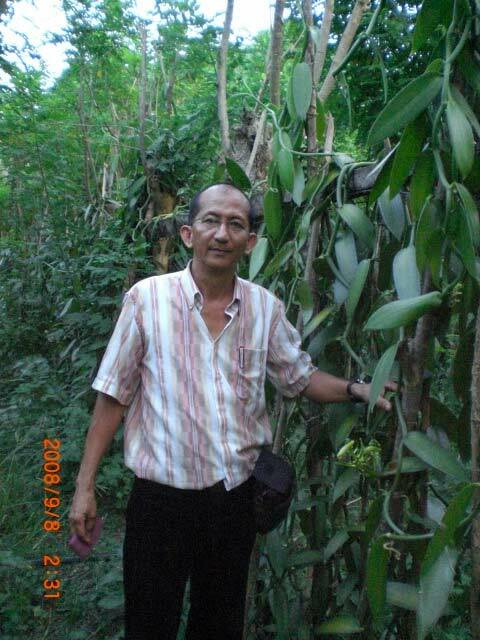 Here’s another video from Agus Ramadas, a champion of gourmet vanilla in Indonesia. Gourmet Organic Vanilla from Indonesia. Here’s a round-up of indoor vanilla information. Feel free to link to other resources in the comments. Heilala Vanilla indoor vanilla plantation gallery. Indoor vanilla in the Ukraine. 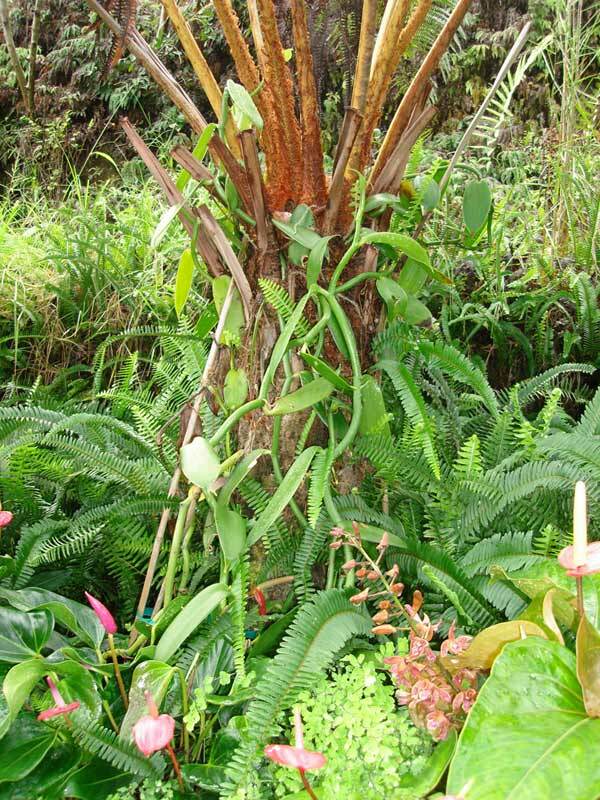 This video documents a vanilla and teak project in Costa Rica. I was about to make this video really popular with the help of Social Media Daily. Check out this video from Rentak Timur in Malaysia. Here are two new vanilla videos (1,2) from youtube user agusramadas, a vanilla pioneer in Indonesia.